I really enjoyed last year collaboration that Pixi Beauty did with Judy Travis (It's Judy Time), Maryam Maquillage, Caroline Hirons, and Aspyn Ovard. So, when they announced this year collaboration, I could not wait to see who they are collaborating with and what kind of products are in the collaboration. This year collaborators are Dulce Candy, Weylie Hoang, and Chloe Morello. I am not particularly familiar with Weylie or Chloe, but I am a big fan of the OG Dulce Candy! I love her style and how genuine she is. So I was really looking forward to try out her collaboration products. There are two products in Weylie Hoang Collaboration, the eyeshadow palette and the eyeliner. 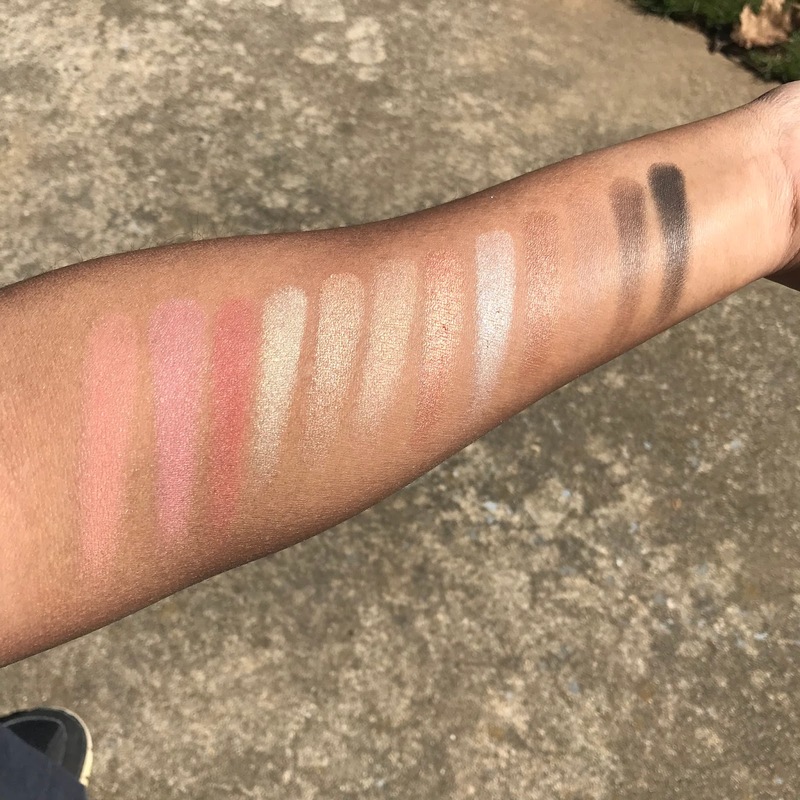 This palette is a great everyday neutral/work appropriate palette. There are shimmery and matte warm shades in this palette which will look really flattering on any skin tone. All the shadows are pretty pigmented but the formula are on the dry side. It is very similar to the previous pixi palette from the It's Judy Time collaboration. The eyeliner that came with with palette is a dual ended liners. One side is the liquid liner and the other side is kohl pencil liner. The liquid liner does bleed a little when it's wet, although, it does not budge once the liner is dry. The kohl liner is really creamy and smooth. The Dulce Candy collaboration consist of two palettes, the face palette and the lip palette. Both palettes can be used in many ways. 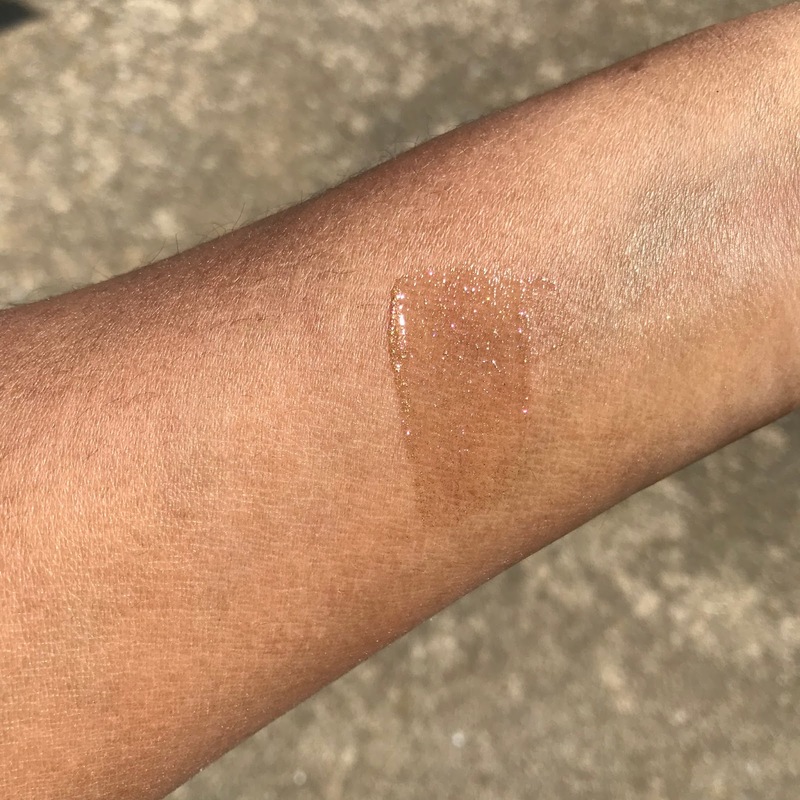 The Cafe con Dulce (face palette) could be use as highlight, bronzer, blush, and eyeshadow. The colors are so pigmented, and really creamy. 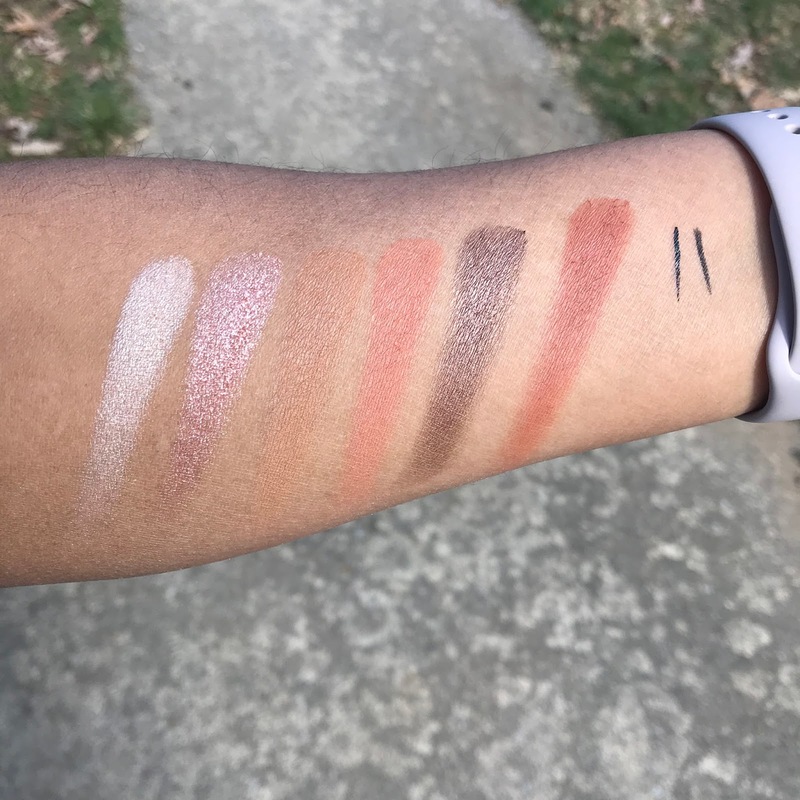 As you can see on the above swatches the colors are just so beautiful. The top row would be great for light/medium skin tone. The middle row would be great as blush or blush topper. The last row would be great on deeper skin tone. 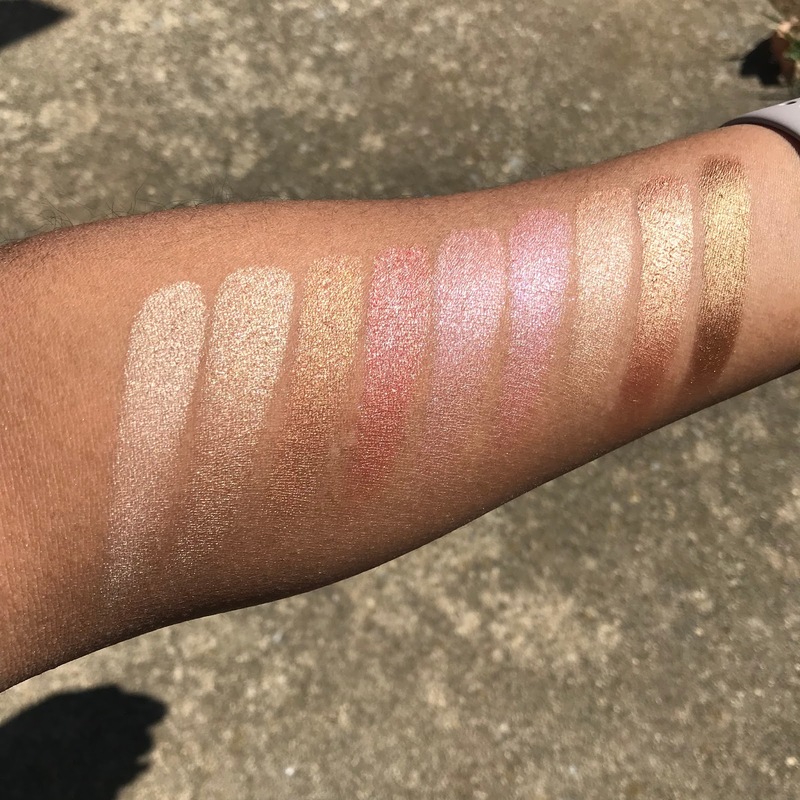 All of the colors can be used as eyeshadows. I would suggest prime your eyes if you do use it as eyeshadow since it has a little bit of creasing when wearing it for a whole day. The lip palette is really pigmented as well. It is a cream to powder finish. 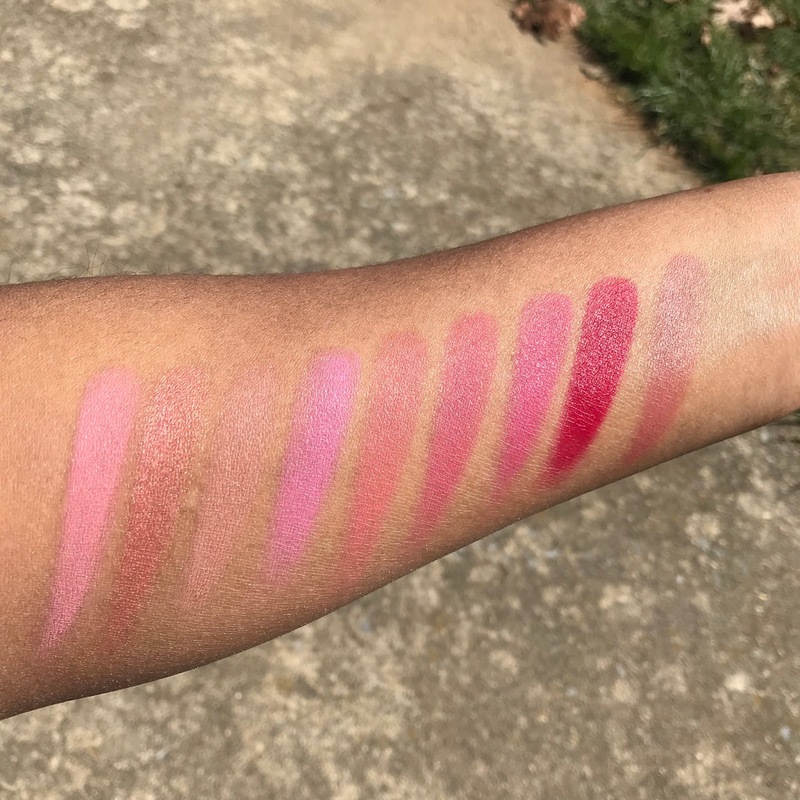 The colors are more on the pink side, which is great for using as blush and lip colors. The colors are not drying at all on the lips even though it's turn to be a powder finish. I would suggest wear a lip balm before using this as lip colors since this will not add any hydration on your lips. I even use this lip palette as an eyeshadow base on my video review. Check out the video here. The last but not least is the Chloe Morello collection. There are also two products in this collaboration, a face palette and a lip gloss. This face palette includes 3 eyebrows shades, 6 eyeshadow/highlight shades, and 3 blush colors. The eyebrow colors are great if you like natural looking brow. It is light in pigmentation but will give your brow a soft look. The rest of the products are great for doing a soft romantic look. As for the lip topper/lip gloss, it looks amazing in the bottle but it does not show once I swatched or apply on the lip. I still like it but it looks just like a clear gloss with gold reflec. Overall, I really enjoy this whole collaboration collections. If you can only get one item from this whole collection, I would recommend check out Cafe Con Dulce. Below is the look that I did using all the products from this collection. Check out my video on how i did this look! I always wonder to do a makeup lesson, but there was no one best in my town. I ended up knowing about Lina and did my basic make-up lesson from her. I am glad to choose her as a trainer, she trains best in my town Also, she is really helpful and friendly.